We're a little more than a week away from the 2017 NFL Draft, and no matter how pessimistic you may be feeling about your team's chances of landing that franchise-changing star, let this be a reminder that every team in the league has made its fair share of intelligent draft-day decisions. Here's a look at every NFL team's best draft pick ever, and to keep this from becoming simply a directory of each club's best player, we combined draft position with franchise impact -- guys like Tom Brady and Joe Montana, for example -- in order to come up with the most interesting possible list. 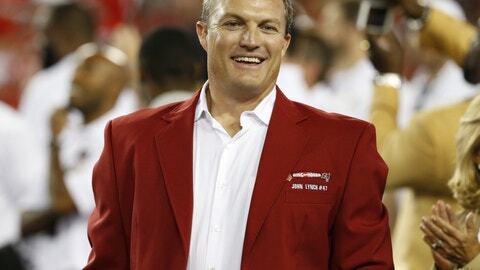 Williams played 10 of his 14 NFL seasons with the Cardinals,and was an eight-time Pro Bowl selection who was inducted into the Hall of Fame in 2014. Larry Fitzgerald was strongly considered, but his high draft position (third overall in 2004) gave Williams the edge. As we compiled this list, there were a handful of teams where the best draft pick in franchise history just happened to be one of the top overall selections, and Ryan was one of them. A four-time Pro Bowl selection who is coming off of an MVP season, Ryan appears to be getting better with age, and his best years might still be ahead of him. 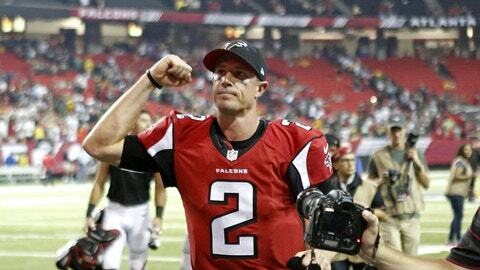 Deion Sanders (fifth overall in 1989) and Julio Jones (sixth overall in 2011) were also in the discussion. Lewis played all 17 of his NFL seasons with the Ravens and is a two-time Super Bowl champion who was selected to the Pro Bowl 13 times. Jonathan Ogden and Ed Reed were other great first-round selections but didn't have the impact of Lewis. Since Bruce Smith and Jim Kelly were both first-round picks, Thomas here was an easy choice. 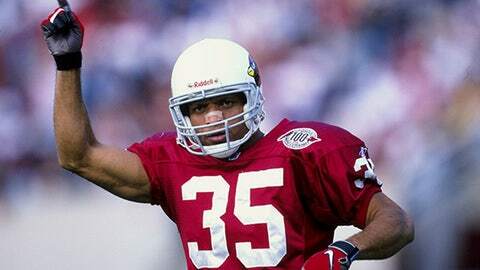 The Hall of Fame running back was a five-time Pro Bowl selection who took home the league MVP award in 1991. 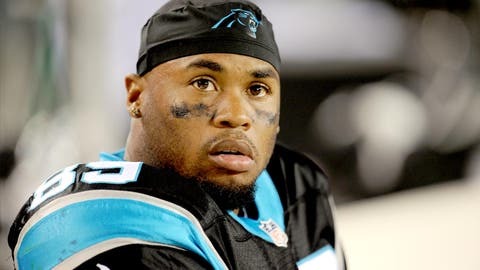 The diminutive wide receiver was a key threat for the Panthers offense for the bulk of his 13 Carolina seasons, and Smith is a five-time Pro Bowl selection who led the league in receptions, receiving yards and receiving TDs in 2005. Smith gets the nod over defensive end Julius Peppers, who was a high first-round pick and played fewer seasons for the Panthers. Sometimes, a player's career accomplishments are so overwhelming in relation to others who played for a franchise that they're going to be the best draft pick regardless of where they were selected. 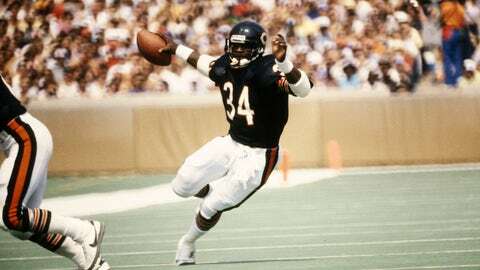 Payton played for the Bears in all 13 of his NFL seasons and was one of the most iconic running backs of all time. He's a Super Bowl champion, a league MVP and a nine-time Pro Bowl selection who was inducted into the Hall of Fame in 1993. 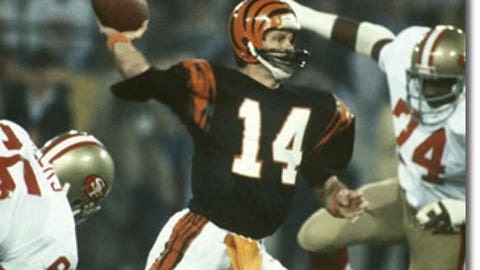 Anderson's 16-year run with the franchise, along with his four Pro Bowl selections, a league MVP award in 1981 and his low draft position made him an easy choice. Anthony Munoz, a Hall of Fame tackle who was selected third overall in 1980, also had a pretty strong case. One of the greatest running backs of all-time, Brown was a Pro Bowl selection in all nine of his NFL seasons. He led the league in rushing in eight of them and was a three-time MVP who was inducted into the Hall of Fame in 1971. 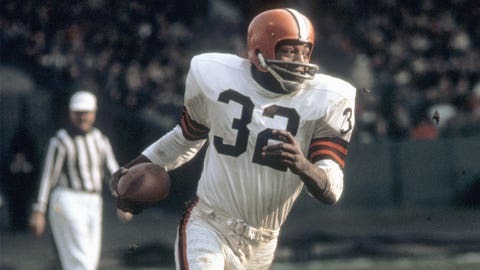 Ozzie Newsome, a first-round selection and a Hall of Fame tight end who played 13 seasons in Cleveland, was a distant second. A storied franchise like the Cowboys had plenty of great players to choose from, but Staubach is as accomplished as any of them, and his ridiculously low draft position -- the result of his impending commitment to serve in the Navy -- gave him the edge. 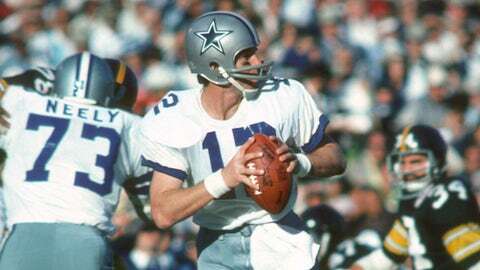 Staubach was a six-time Pro Bowl selection and a two-time Super Bowl champion who was inducted into the Hall of Fame in 1985. Davis may have only played seven NFL seasons, but John Elway wouldn't have his two Super Bowl rings without him. 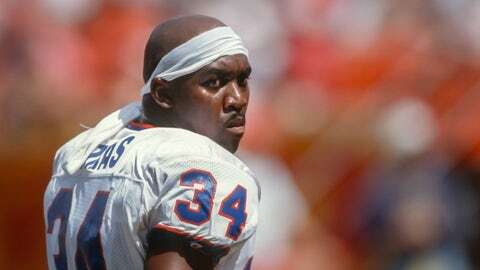 Davis rushed for more than 2,000 yards in 1998, won a league MVP award and was a three-time Pro Bowl selection who was inducted into the Hall of Fame in 2017. Not bad at all for a sixth-round pick. An extremely high draft pick, yes. But Sanders is known as one of the greatest running backs of all-time and has the numbers to back it up. 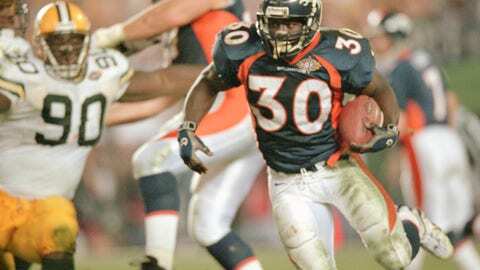 He was a Pro Bowl selection in all 10 of his NFL seasons who was named league MVP in 1997 -- when he finished the season with more than 2,000 yards rushing. 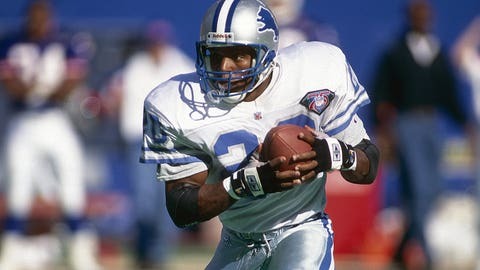 Sanders was inducted into the Hall of Fame in 2004, and only Calvin Johnson (selected second overall in 1997) was a brief, alternate consideration. It was tempting to put Aaron Rodgers in this space, given all that he's accomplished for the Packers since entering the league as a first-round pick in 2005. But Green Bay is the NFL's most storied franchise, and Starr had plenty to do with that, after being passed over in the draft 199 times. Starr played all 16 of his professional seasons in Green Bay and has a total of seven championships to his name. He was inducted into the Hall of Fame in 1977. 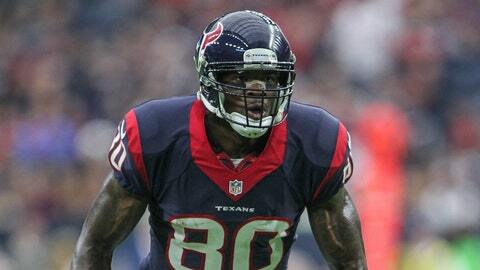 Johnson was drafted in the team's second season in existence and played 12 seasons in Houston while leading the league in receiving twice as a seven-time Pro Bowl selection. Three-time NFL Defensive Player of the Year J.J. Watt (selected 11th overall in 2011) can bump Johnson from this spot if he stays healthy enough to build on his already ridiculous resume. Manning did something that isn't easy in the NFL, and that's exceeding all expectations anyone could possibly have for a No. 1 overall pick. 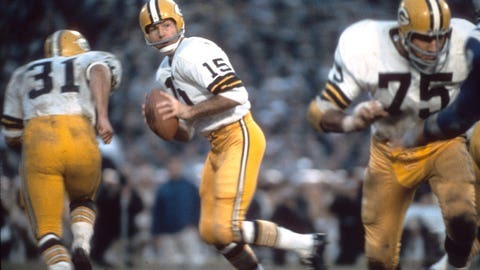 He put up gaudy numbers that place him in the discussion as one of the greatest of all-time: 14 Pro Bowls, five MVP awards and two Super Bowl titles. 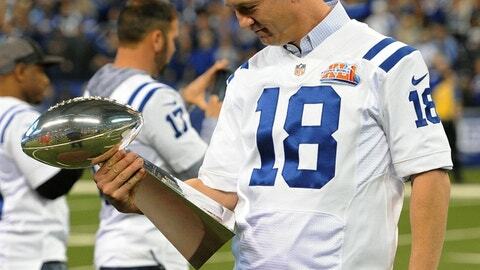 The Colts had a couple of other pretty great picks in Marvin Harrison and Reggie Wayne, but no one else's career came close when considering what Manning did for the franchise. 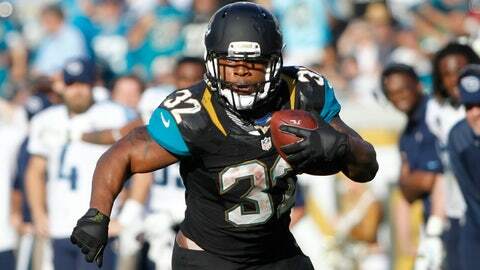 Jones-Drew played eight of his nine NFL seasons in Jacksonville and was a three-time Pro Bowl selection who led the league in rushing yardage in 2011. Other good players we associate with the Jags (like Mark Brunell or Jimmy Smith) were drafted by different teams. 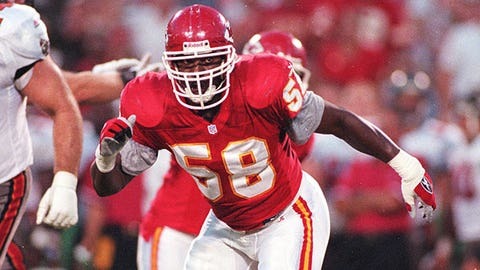 Thomas was the face of the Kansas City defense for all 11 of his NFL seasons. He was selected to the Pro Bowl nine times and was inducted into the Hall of Fame in 2009. Tight end Tony Gonzalez, who played 12 of his NFL seasons with the Chiefs, was a close second. The Dolphins have plenty of great players in their franchise history we could have penciled in here; Dan Marino and Bob Griese immediately come to mind. 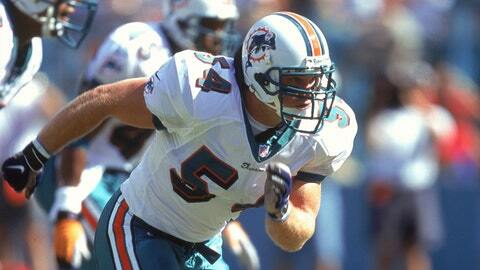 But no one exceeded expectations in terms of their draft position more than Zach Thomas, who was the cornerstone of the defense for more than a decade and a seven-time Pro Bowl selection. 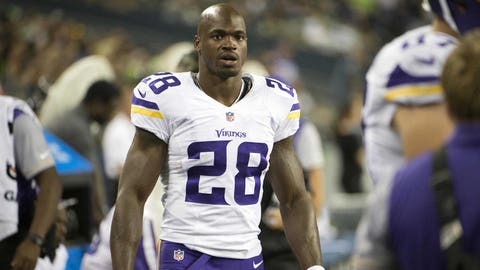 Peterson was consistently viewed as one of the best running backs of his generation and has played all 10 of his NFL seasons in Minnesota thus far, even though he'll have a new home in 2017. 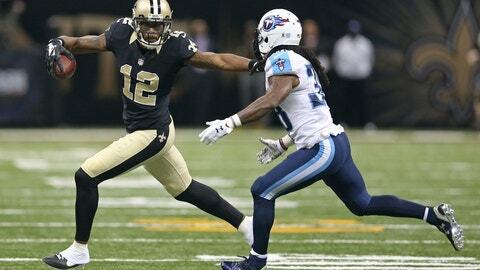 He rushed for more than 2,000 yards in 2012 and is a seven-time Pro Bowl selection who was named league MVP in 2012. Randy Moss, a first-round selection in 1998 who led the league in receiving TDs three times in seven seasons with the Vikings, was a close second. 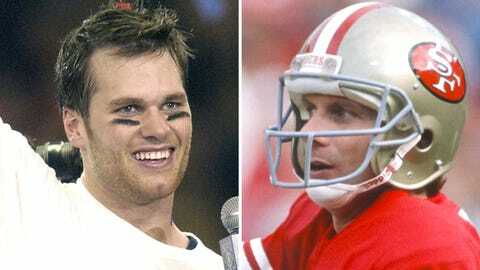 Brady is probably the best draft pick in NFL history. A sixth-round selection shouldn't become the greatest of all-time at his position, but that's exactly what Brady is. 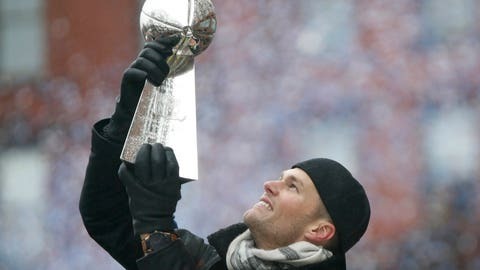 Five Super Bowl victories, two MVP awards and 12 Pro Bowl selections is what Brady has accomplished so far, and he's not even close to being finished. Admittedly, Colston's low draft position is what made him immediately stand out when going through New Orleans Saints picks. But he was a staple of his team's offense for all 10 of his NFL seasons and finished with more than 1,000 receiving yards in six of them while winning a championship with Drew Brees to cap off the 2009 season. Strahan's status as a second-round pick gets him the nod over other Giants greats like Lawrence Taylor and Phil Simms, but he also has the resume to back it up. 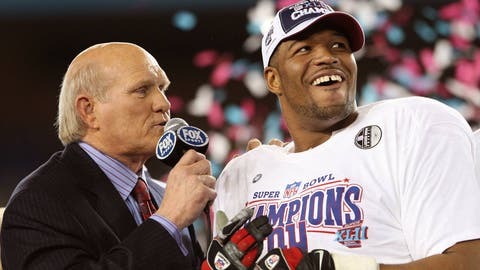 Strahan's Hall of Fame career lasted 15 seasons, and he was a seven-time Pro Bowl selection who led the league in sacks on two separate occasions. 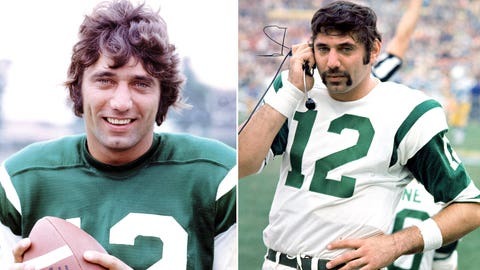 Namath was the face of the Jets franchise for 12 seasons, and his guarantee of beating the heavily-favored Colts in Super Bowl III is well-remembered by league historians to this day. He led New York to victory, of course, and was a five-time Pro Bowl selection who was inducted into the Hall of Fame in 1985. Joe Klecko, a four-time Pro Bowl defensive tackle who was a sixth-round selection in 1977, was a distant second. 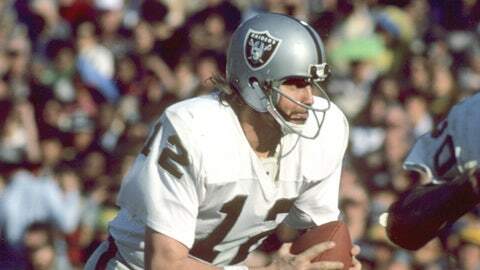 Stabler played 10 of his 15 NFL seasons for the Raiders and won a Super Bowl with Oakland in 1976. He was named league MVP in 1974 and was a four-time Pro Bowl selection who was (finally) inducted into the Hall of Fame in 2016. Bo Jackson, Gene Upshaw, Art Shell and Howie Long were also considered. 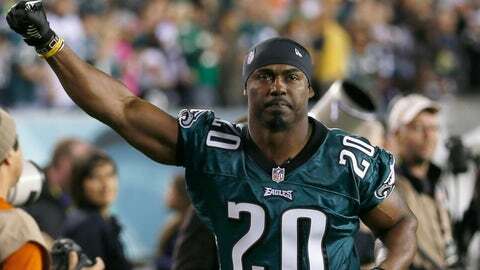 Dawkins played 13 of his NFL seasons for the Eagles and was selected to the Pro Bowl nine times. Reggie White and Donovan McNabb were considered, but Dawkins made an impact on the defense for years as a much lower selection. The Steelers franchise is rich with history, which gave us a lot of players to choose from. But Jack Lambert's Hall of Fame resume as a second-round pick gave him the edge. In 11 NFL seasons, Lambert won four Super Bowls and was a nine-time Pro Bowl selection. 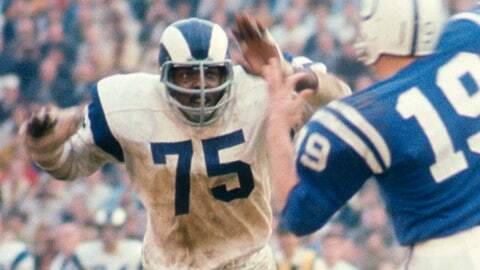 Jones had a Hall of Fame career as a 186th overall pick, and that gives him the nod here over Merlin Olsen the rest of his Fearsome Foursome teammates. He was an eight-time Pro Bowl selection in 11 seasons with the Rams. 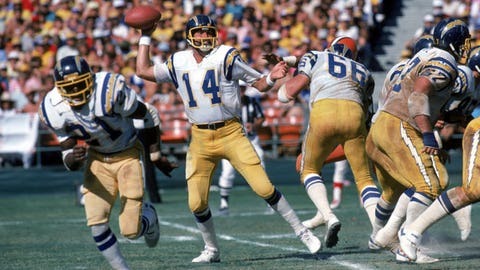 Fouts played all 15 seasons of his Hall of Fame career with the Chargers and was a six-time Pro Bowl selection who led the league in passing yards for four consecutive years. Linebacker Junior Seau, who was selected fifth overall in 1990 and inducted into the Hall of Fame in 2015, was a very close second. Montana slipping to the third round isn't as egregious as Brady lasting until the sixth, but when you look at all that he accomplished, it's clear that every other team in the league severely regrets letting him pass by. Montana won four Super Bowls and two MVPs as an eight-time Pro Bowl selection who was inducted into the Hall of Fame in 2000. 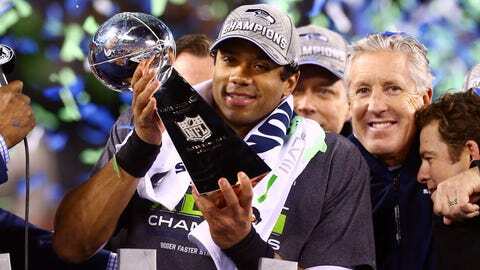 Wilson has played just five NFL seasons, but he's already accomplished way too much for a third-round pick as a three-time Pro Bowl selection and a Super Bowl champ. Lynch was one of the best defensive backs of his era and was a nine-time Pro Bowl selection who was a part of the Buccaneers' Super Bowl team in 2002. Hall of Fame linebacker Derrick Brooks, who was a first-round pick in 1995, was strongly considered. 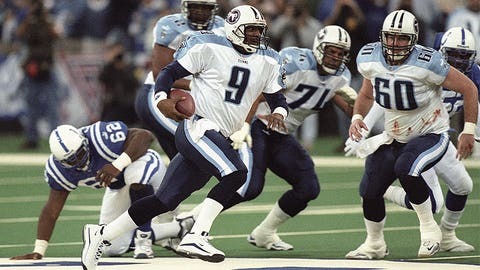 McNair may have been drafted by the Houston Oilers, but he became the face of the Titans franchise as its starting quarterback for nine seasons once the franchise moved to Tennessee. A three-time Pro Bowl selection, McNair was named MVP in 2003. Running back Eddie George, the 14th overall pick in 1996, could also have gotten the nod. 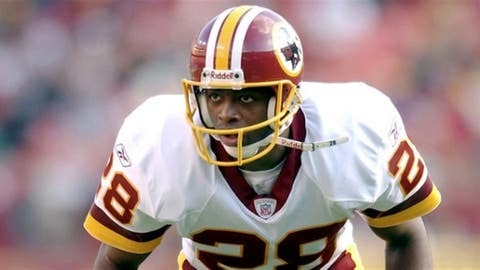 Green's Hall of Fame career lasted 20 seasons, all with the Redskins, and the man played until he was 42 years old. You can't get much better value out of a draft pick than that. Green was part of two Super Bowl-winning teams, and was a seven-time Pro Bowl selection who was inducted into the Hall of Fame in 2008. 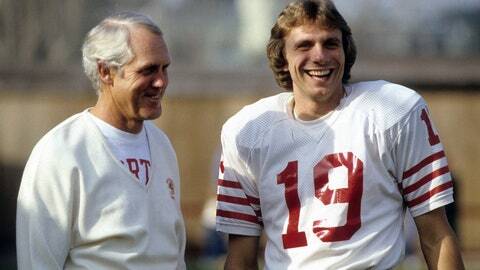 His longevity gave him the slight edge over wide receiver Art Monk, who played 14 seasons in Washington and was a Hall of Famer himself.